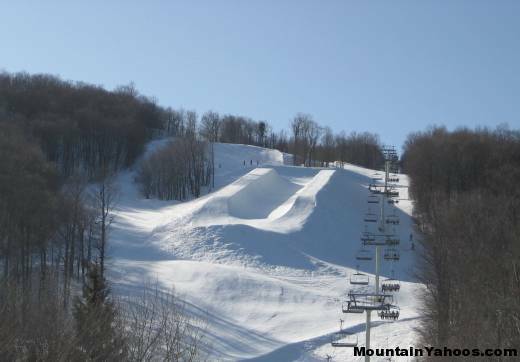 Stratton is a modern destination resort located in southern Vermont that offers a lot more than just skiing. This is a place that can be enjoyed by non-skiers as well thanks mostly to a very cute village at the base of the mountain. 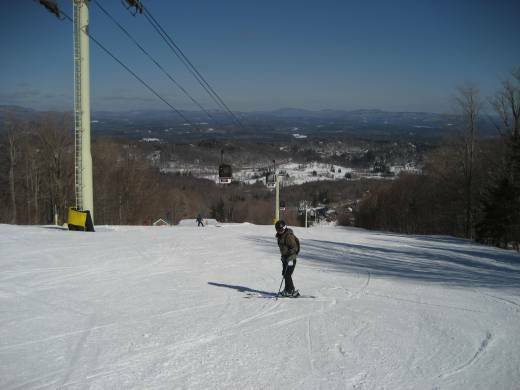 Located in Southern Vermont, Stratton is easily accessible from many of the major cities in the north east. New York City is 4 hours four hours away and Boston is less than 3 hours away. Parking is available at two areas at the mountain: Sun Bowl Lodge and at the Base Lodge and there is additional parking available at Lot 1 and Lot 2 where a shuttle bus will take you to the base of the mountain. Valet parking is also available for a daily fee on a first come basis. 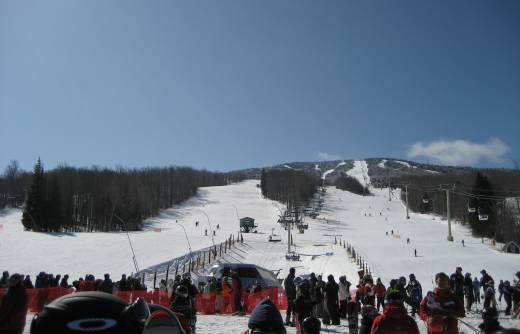 The trails are pretty evenly divided up between Advanced, Intermediate, and Novice, so everybody should be able to find plenty of enjoyable skiing at Stratton. 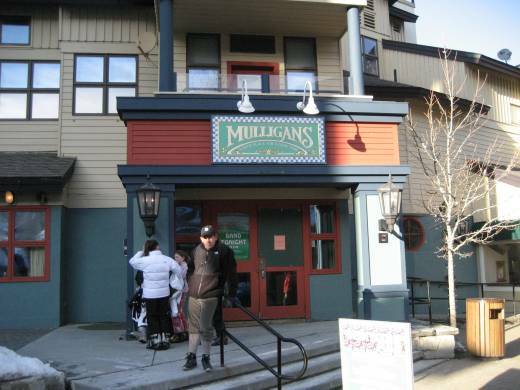 In addition to great skiing, the village offers shopping, dining, night life, and a spa if you are in a need for some R&R after a long day on the slopes! 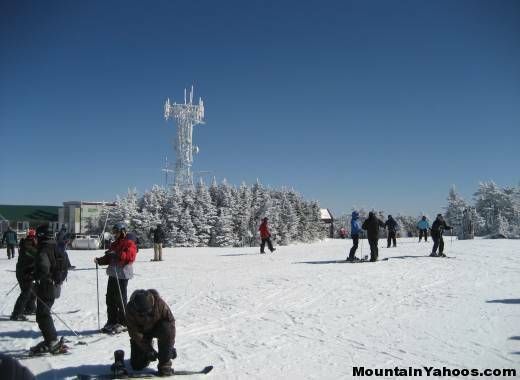 Stratton has over 600 acres of skiing divided over 92 trails that can be accessed by 14 lifts. From the base area the Gondola takes the skiers up 2000 vertical feet to the summit. 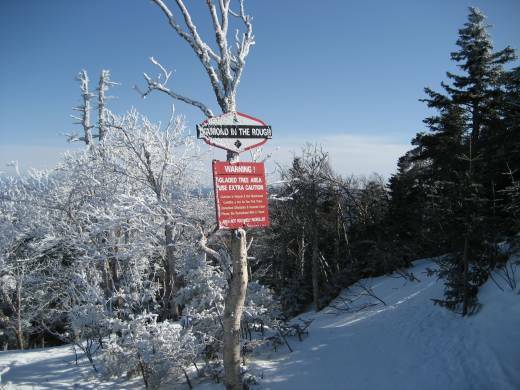 All areas of the mountain can be accessed from the summit and skiers at most levels can choose trails of their preferred levels back to the base of the mountain. The lower part of the Sun Bowl area offers trails for beginners and intermediates with its nicely groomed trails. Take the Sunrise Express to ski down the Sunriser Supertrail. At the main face, take the American Express and ski down the Lower Standard underneath the gondola. Both of these trails are wide and nicely groomed. Anyone that wants to take the gondola to the top and ski/board the easy way down can do so by staying to the right (facing the mountain) when getting off the gondola. This leads to Mike's Way, then to Upper West Meadow, Lower West Meadow, Drifter Link, and finally down to Old Log Road. View from base lodge. Run: Right:"Lower Standard", Left:"Suntanner"
World Cup is their best mogul run, and this is also where mogul competitions are held. Take the gondola to the summit and ski down "Upper Drift Line" (keep lift on your right side), take "Get My Drift", and "Upper Slalom Grade" down to "World Cup". Mogul Run: "Lift Line" under lift. 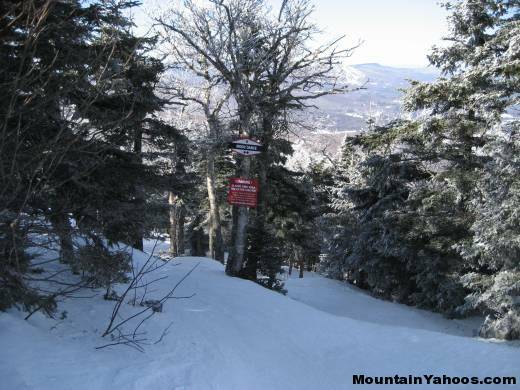 Stratton has almost 100 acres of glades scattered all over the mountain. 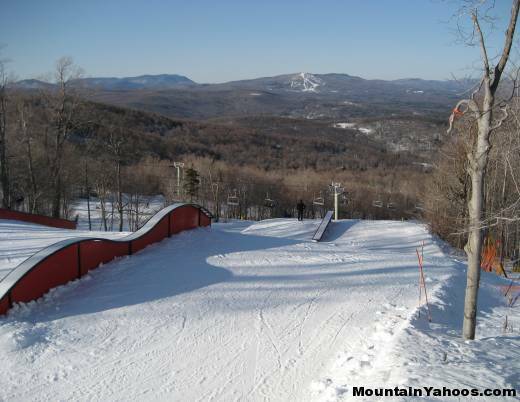 Diamond in the Rough and Moon Dance appeared to offer the best tree skiing at Stratton. 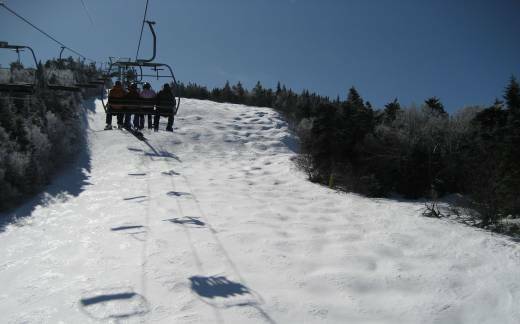 Both of these can be access from the summit by taking Black Bear to Polar Bear (goes between the two glades). 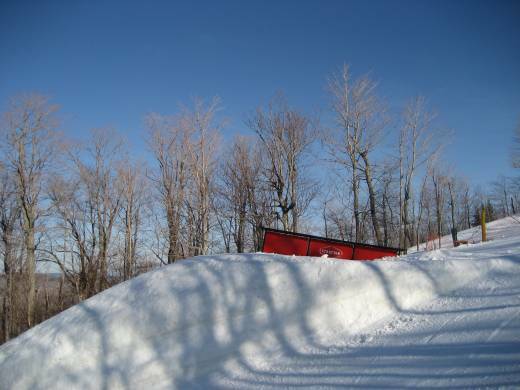 Tree Run: "Diamond In The Rough"
The terrain parks at Stratton are located near the base lodge. 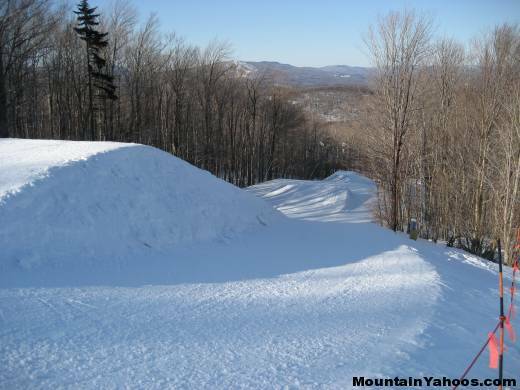 There are terrain parks for every skill level. The Tyrolienne has small features, Smoothie has medium features, and Byrneside has large features. There is also a "Kids Parkway" for kids to learn and the "Betwixt & Beeline" rail gardens at the top of the American Express 6 pack lift. 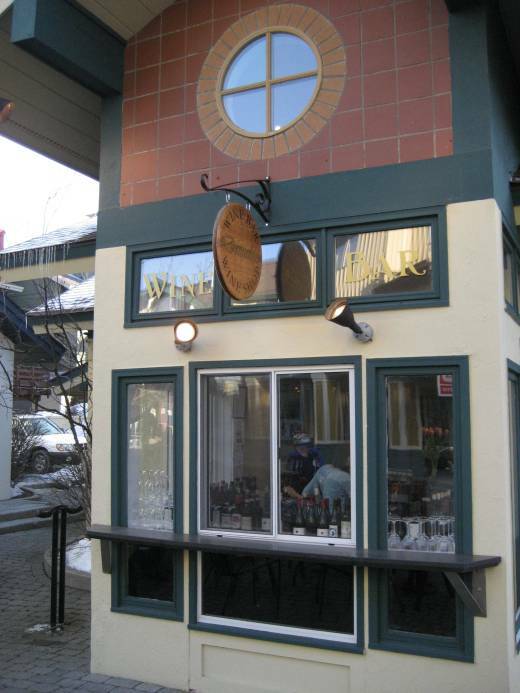 The best Apres Ski bar is hands down Grizzly's at the main base lodge. 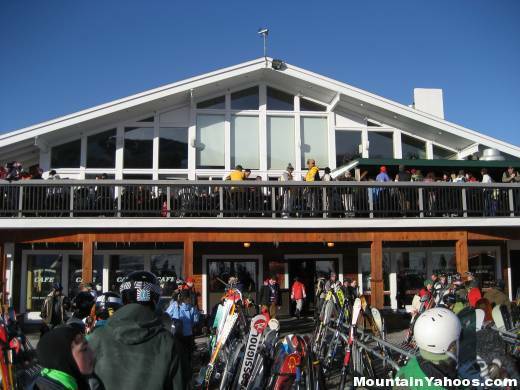 Grizzly's was named one of the "Top 5 Apres Ski Bars" by outside magazine. In addition to drinks, Grizzly's also offer wood fired pizza, outdoor BBQ, and full service lunch. Wine Bar for a glass of wine, beer or champagne before or after dinner. 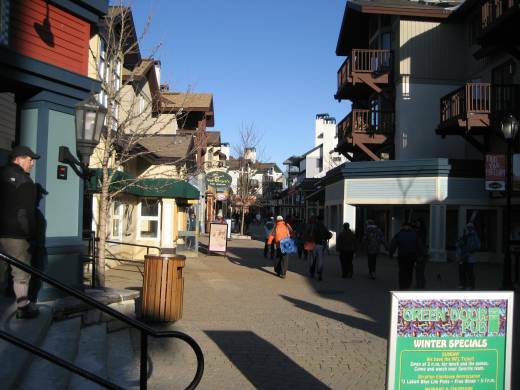 The village at the base of Stratton can both wine and dine you as well as provide for any basic shopping needs. 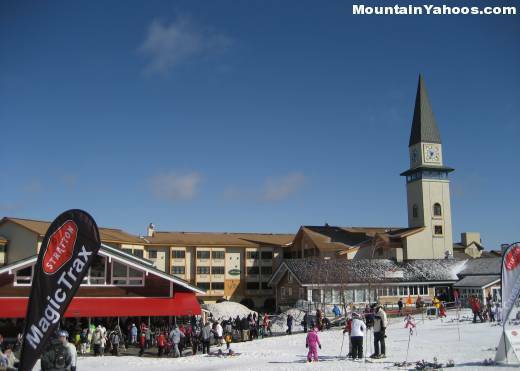 Stratton Mountain Resort acts as the rental management agent for many condominium units at Stratton Mountain. 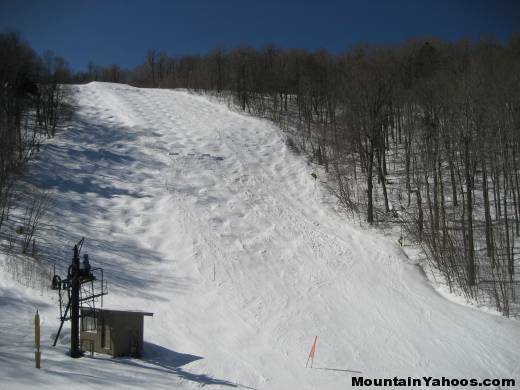 Call 1-800-STRATTON (1-800-787-2886) for reservations. 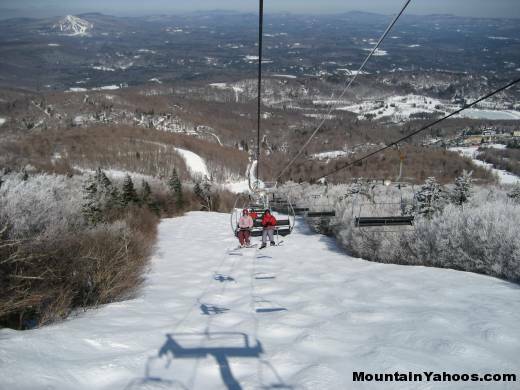 Stratton is located in southern Vermont, only four hours from NYC, and 2 3/4 hours from Boston. Take NY Route 7 to Route 279 at Vermont border. Directly after the 7-Eleven, Turn RIGHT onto Stratton Mountain Road. Stratton Resort is 4 miles up. Follow signs to Route 30 north, drive 38 miles to Bondville, VT.